Family baths are available only for family use. 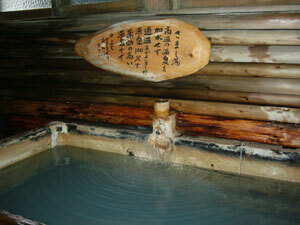 We have eight hot baths in our buildings. 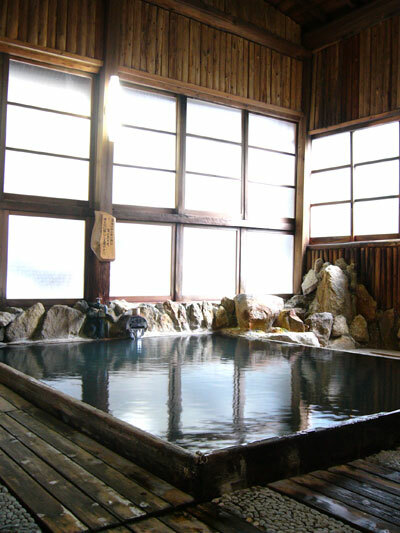 Particularly, the largest bath, which keeps the same appearance as what it used to be since Taisho era, gives you a lot of relaxation and comfort. 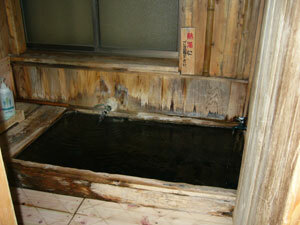 The Samashi bath is a one hundred percent fontal hot spring, and it has medicinal benefits at a moderate temperature. 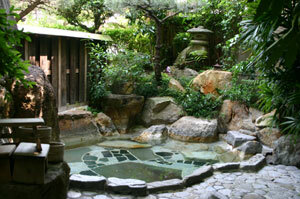 Please take your time and enjoy Japan’s oldest hot spring which has been loved not only by a famous poet Kyoshi Takahama but by many literary figures. Efficacy pain in joints, chronic gastrointestinal diseases, etc.